At Dream Construction, we can help you make your Las Vegas house feel more like home with wall construction, repairs, and removals. We know that a whole new feel can be achieved by simply adding or removing walls. Whether you like an airy open-concept floor plan or more cozy, intimate spaces, we can help you obtain the home of your dreams. Do you need more bedrooms in your home? Perhaps you have large, open rooms, but you could really use an office. Maybe you’d like to have a separate music room. We can help you create room additions by adding walls. You can gain more space and functionality without having to move. You can also turn an unused attic or basement into a profitable rental home or studio area. Perhaps your children have grown and you don’t need as many bedrooms, but would like more space to stretch out in. Maybe you’d like a larger kitchen where family members can all visit and enjoy meals together. Open up your formal living room. Create better aesthetics. You can create the more open and larger feel you want through professional wall removal. If you love the flow and function of your home but need to repair a few walls, we can help with that, too. We can repair the holes, imperfections, and structural problems of any wall in your home. Home remodeling can be stressful and difficult at times. 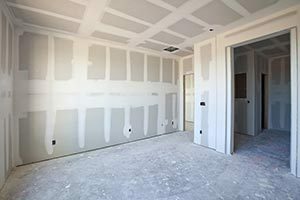 Whether you need plastering, drywall repair, new paint, wall patches or something else, our team will ensure that the process goes as smoothly and quickly as we help you create the home you’ve been hoping for. With over 20 years of experience, at Dream Construction, we know how to give you your Las Vegas dream home without breaking the bank. We are committed to providing quality work. Your satisfaction is guaranteed. Call us today for a free quote and get started on turning your dreams into reality with wall construction, repairs, and removals.